The University of Tennessee Medical Center has a rich history in the East Tennessee community. This major medical center serves patients in Eastern Tennessee, Southeast Kentucky and Western North Carolina. The Sevierville Outpatient Center will offer patient access to communities in Sevier County as well as alternative to emergency room wait times through the urgent care’s after-hours services. 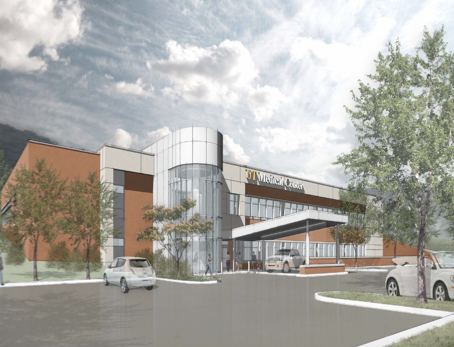 The center will offer convenient access to family practice, internal medicine and obstetrics/gynecology services as well as hematology/oncology and a sleep center. Johnson Development created a financing model to provide UTMC with maximum flexibility. During construction, Johnson development owns the project and provides 100% of capital required. UTMC will buy the project at completion with the option to negotiate a lease arrangement at that time. In addition to navigating the unique financial model, the weather caused several delays in the project. Johnson Development is serving as developer.